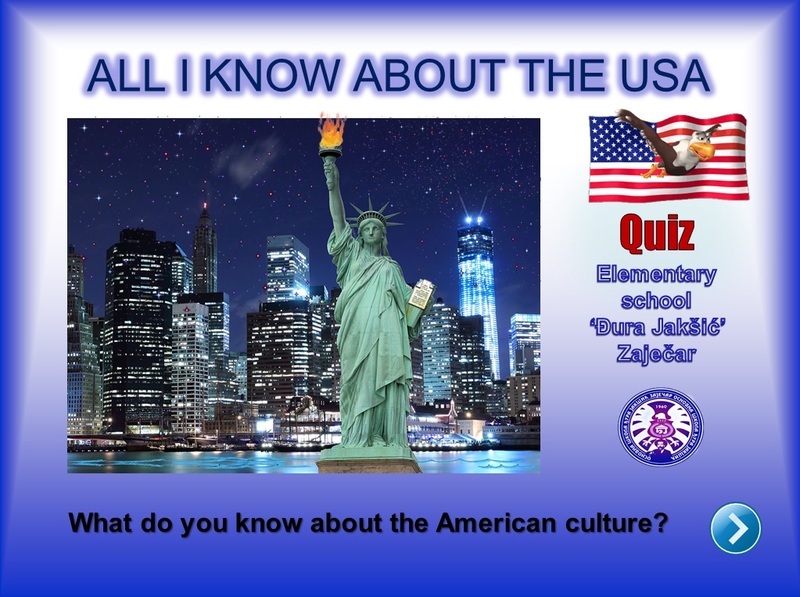 The primary school “Đura Jakšić“ Zaječar was the venue of the quiz show “ALL I KNOW ABOUT THE USA”. 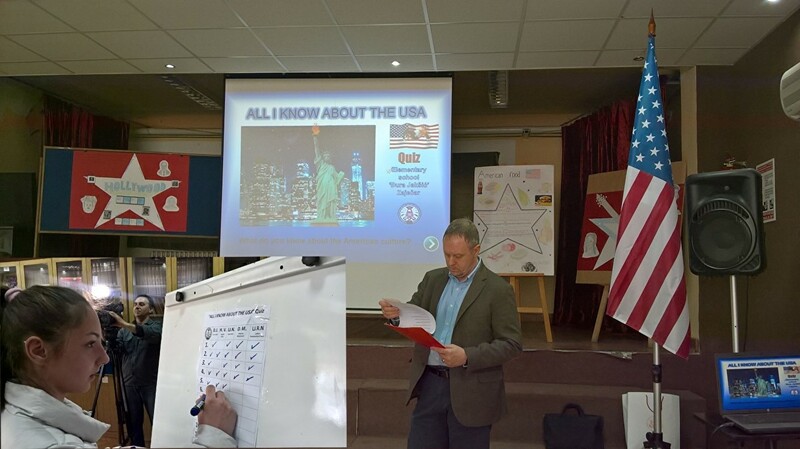 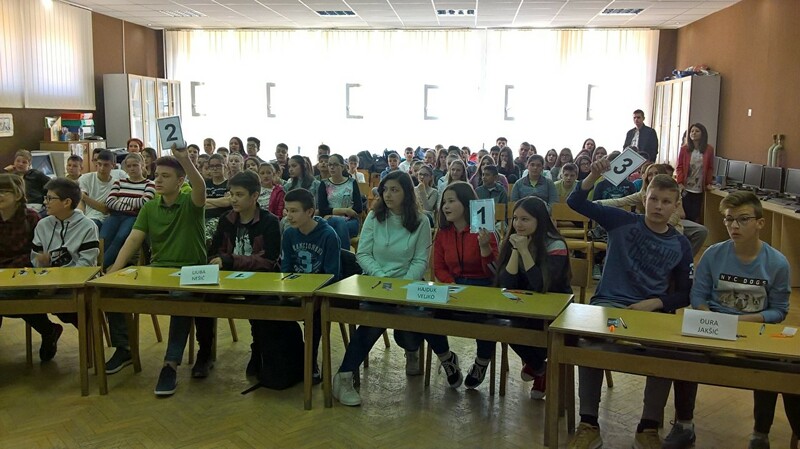 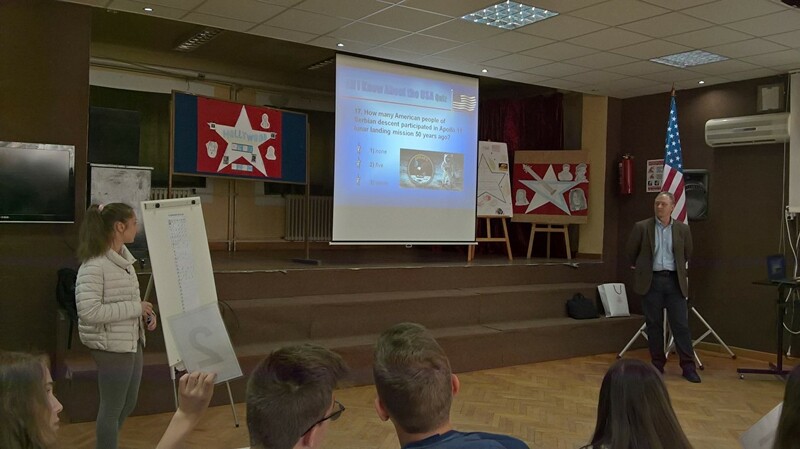 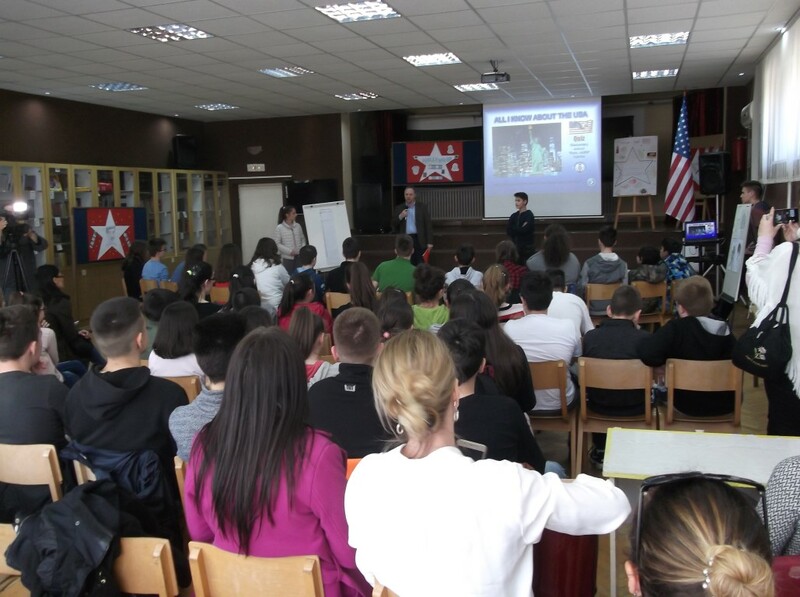 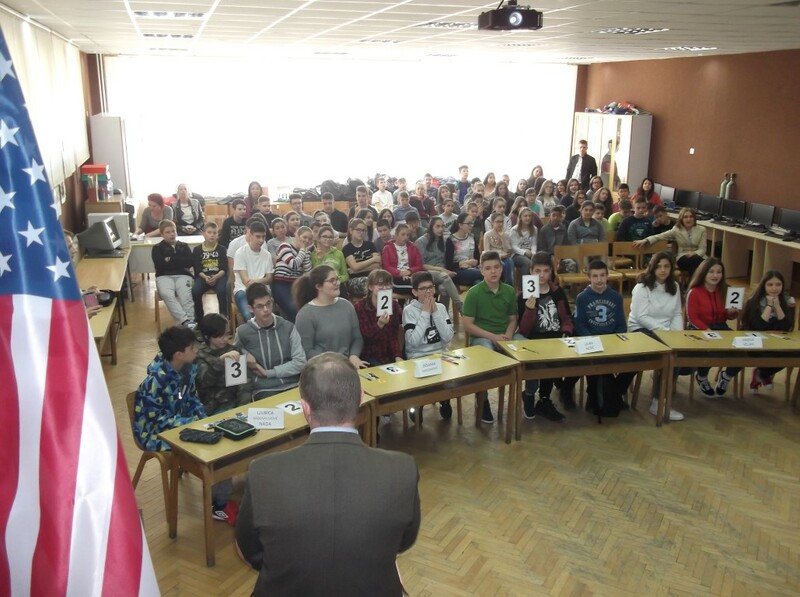 The quiz was organised by our school in partnership with THE UNITED STATES EMBASSY, BELGRADE on 28th March 2019. 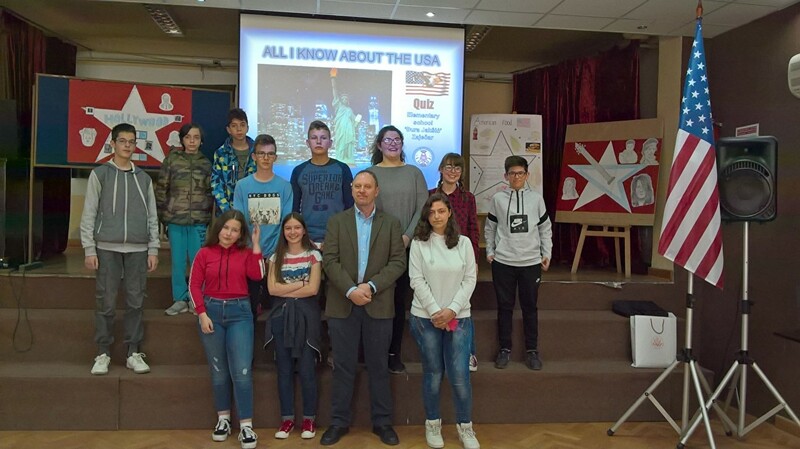 The eight-graders of all five Zaječar schools competed in it showing profound knowledge of American culture, literature, films, music, history, geography, sport, art, etc. 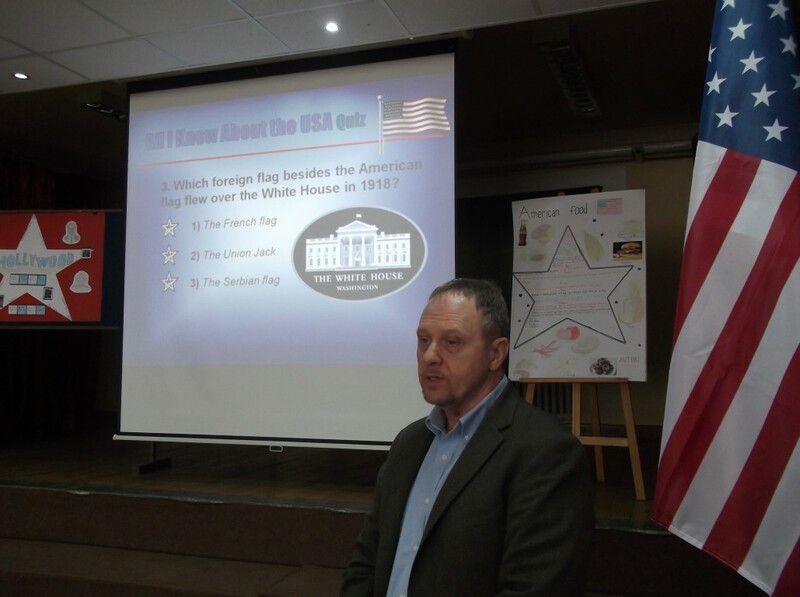 The quiz presenter was Mr. TIMOTHY FAUGHT from the U.S. Embassy. 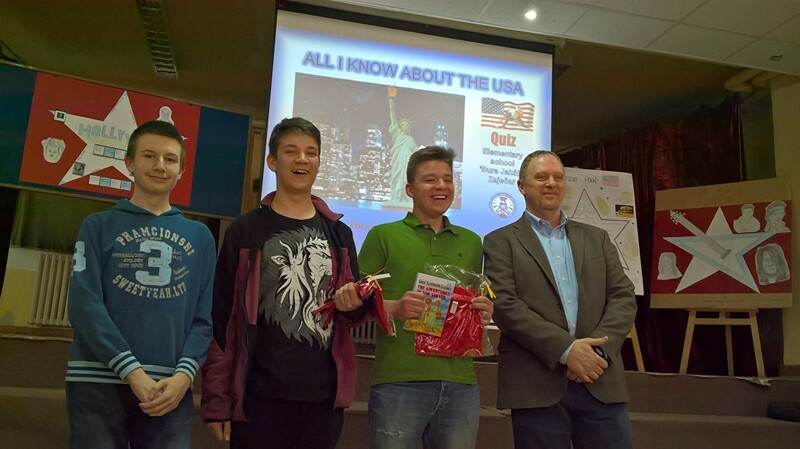 The team from primary school “LJUBA NEŠIĆ“ won the quiz. 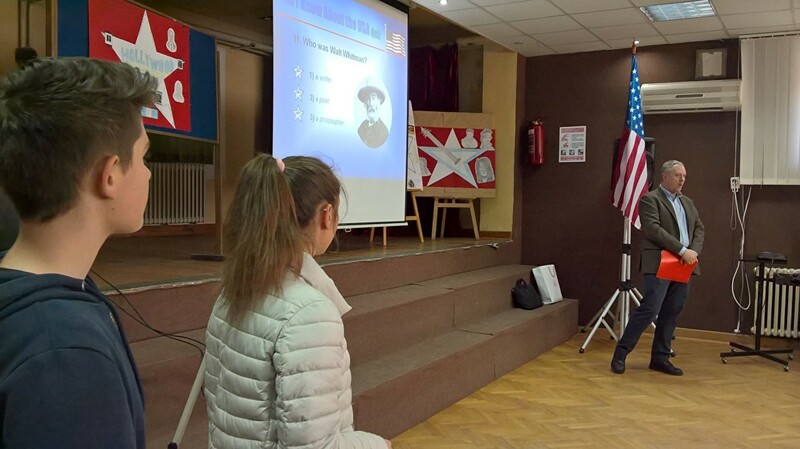 The quiz participants as well as the audience had a great time obtaining new knowledge of American culture and improving their language skills by talking to a native English speaker.